Recently I entered a nail art contest at More Nail Polish. 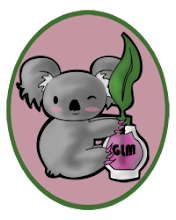 I have a lot to learn when it comes to nail art and I knew I'd be up against some very talented people but I thought it would be fun to enter and with random draw prizes how could I not? 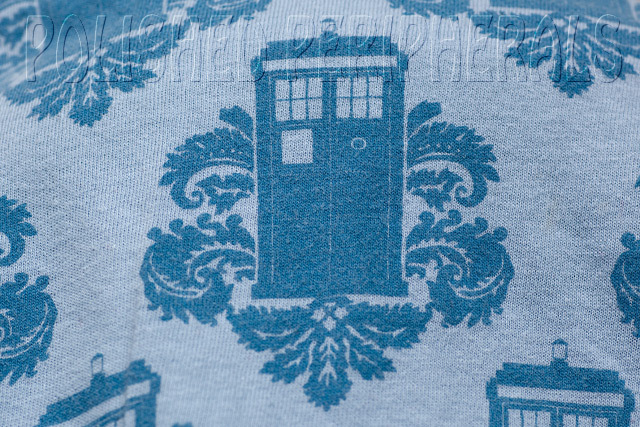 The design on the shirt isn't very clear, the TARDIS details are fuzzy, so I had to do some work in photoshop to get it looking the way I wanted (I'm better at photoshop than polish). Then I printed it onto some water decal paper. I've found I can actually use polish to paint my designs on the paper too before transferring so I used some 2 way nail art pen/brushes to touch up the design before I soaked it onto my nails and then I did a little more touch up work once it was on and dry. Then I coated it all with CND Ice Blue Shimmer to help meld it all together and (hopefully) enhance the blueprint style. I was pretty pleased with how it turned out, lumpy polish and all :) The design on my thumb was the best bit but I couldn't get it in the photo. You can view the judges top 8 and find out who the random winner (one of my favourites) was here. I was wondering how you did it! :) Your entry was definitely one of my favourites, I love how the thumb lines up! I was also wondering how you did it. Love this! I was also wondering how you did this. I love it! can we be best friends now?! seriously this is soooo awesome very Galifrayan ;) im a MAJOR doctor who fan and i love love love love love this and i cant wait to do this myself :) thanks for the idea and ill be sure to post a link to this on my blog if thats okay!!? i've seen you nail design a lot on pinterest and absolutely loved it! but i never knew how you done it and nobody seemed to know either. and let me tell you your pic is all over the place so i had quite a lot of chances to look. the more i saw it the more i got the suspicion it could be something like a decal because it's so detailed. but i'm very happy that i've finally found out what it really was you used. 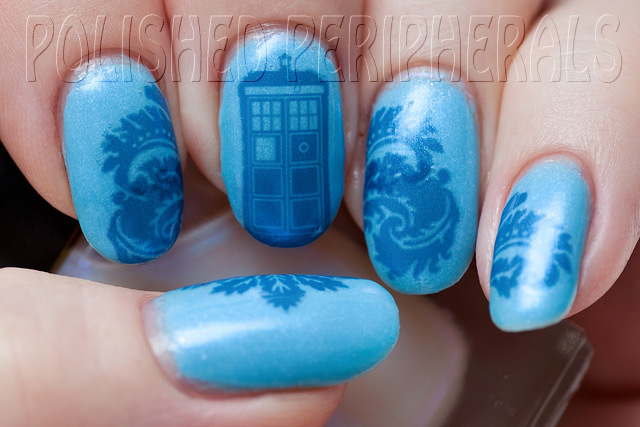 i think, as a matter of fact, that it's definitly one of the best doctor who nail art designs i've ever seen!